Ms. Honsberger is a board-certified family nurse practitioner. She earned her bachelor of science in nursing at the University of Arizona. She then completed her Master of Science in Nursing at Gonzaga University in Spokane, WA. 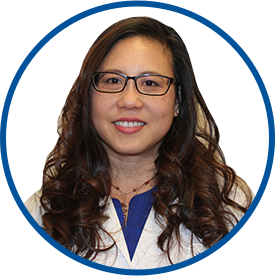 Her past experiences as a nurse practitioner include Subacute Rehab, Complex Care and Urgent Care. She also served as an augmentee nurse practitioner at the 87th Medical Operations Squadron at Joint Base McGuire-Dix-Lakehurst in New Jersey. Ms. Honsberger is a member of the American Association of Nurse Practitioners and the Nurse Practitioner Association of New York State. She is certified by the American Nurses Credentialing Center.